If Brakes are not working properly -> Check the brake system. Drive on the dry road, operate the front and rear brakes separately and check to see if the brakes are operating fully. • Place the vehicle on a suitable stand. • Make sure the vehicle is upright. to deteriorate, causing leakage and poor brake performance. fluids may result in a harmful chemical reaction, leading to poor brake performance. of the brake fluid and could cause vapor lock. 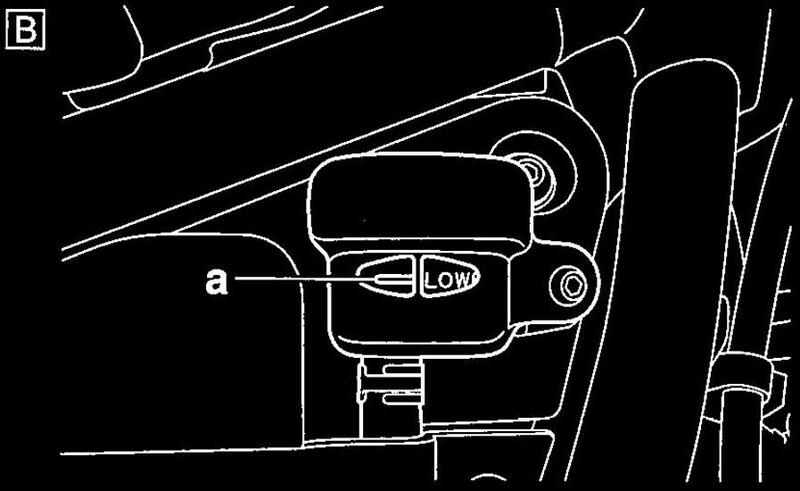 In order to ensure a correct reading of the brake fluid level, make sure the top of the brake master cylinder reservoir or brake fluid reservoir is horizontal. The following procedure applies to all of the brake pads. If wear indicator grooves "a" almost disappeared -> Replace the brake pads as a set. If wear indicators "a" almost touch the brake disc -» Replace the brake pads as a set. • The system is disassembled. • A brake hose is loosened, disconnected or replaced. • The brake fluid level is very low. • Brake operation is faulty. or brake fluid reservoir to overflow. the hydraulic brake system, considerably lengthening the bleeding procedure. • Brake fluid reservoir cover " 1 "
After removing the brake fluid reservoir cover, install the brake fluid reservoir temporarily. with the specified brake fluid. b. 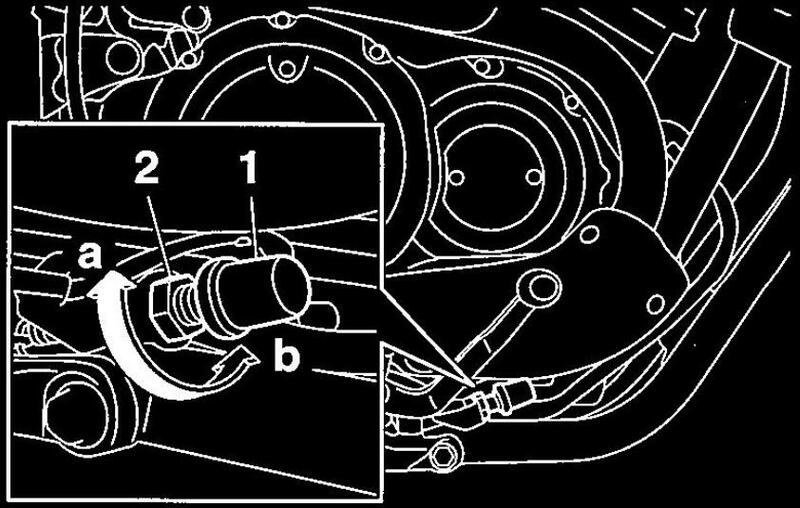 Install the diaphragm (brake master cylinder reservoir or brake fluid reservoir). c. Connect a clear plastic hose "1" tightly to the bleed screw "2". d. Put the other end of the hose into an open container. e. Slowly apply the brake several times. 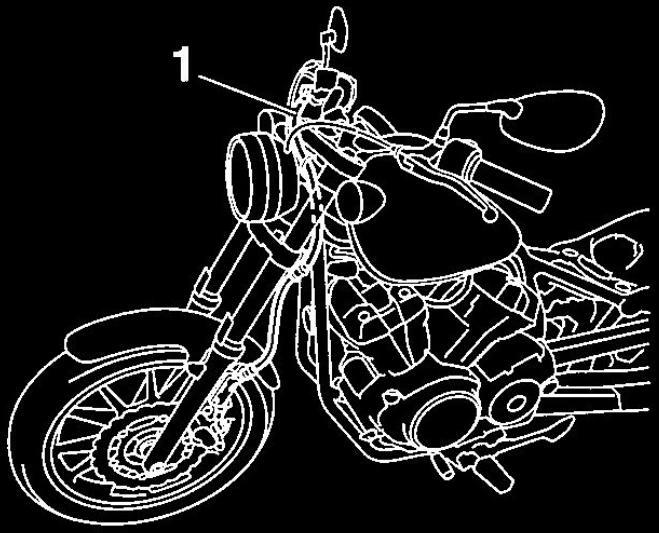 f. Fully squeeze the brake lever or fully depress the brake pedal and hold it in position. g. Loosen the bleed screw. 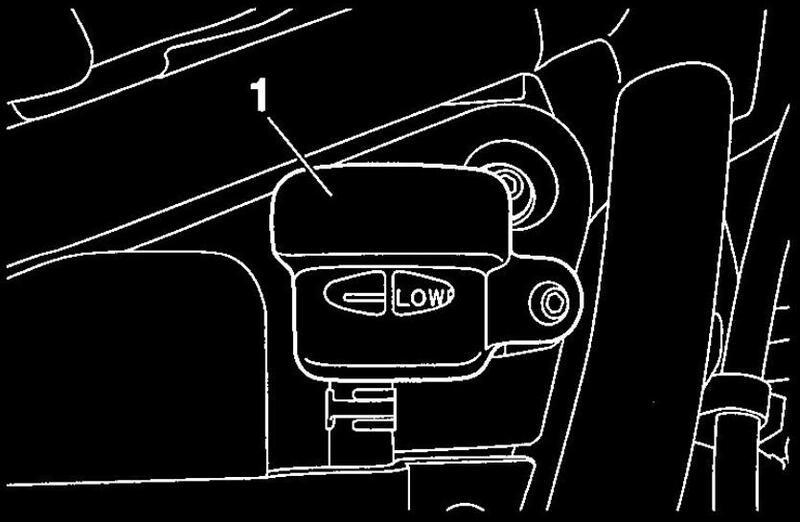 Loosening the bleed screw will release the pressure and cause the brake lever to contact the throttle grip or the brake pedal to fully extend. 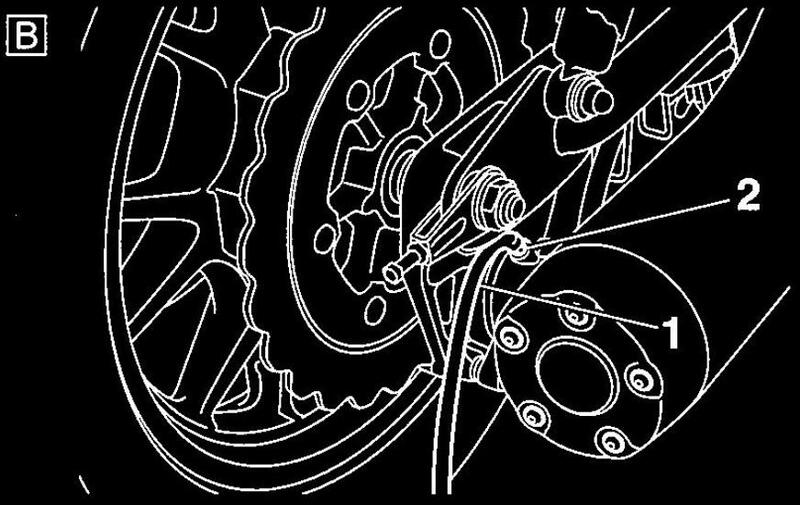 h. Tighten the bleed screw and then release the brake lever or brake pedal. fluid in the plastic hose. j. Tighten the bleed screw to specification. 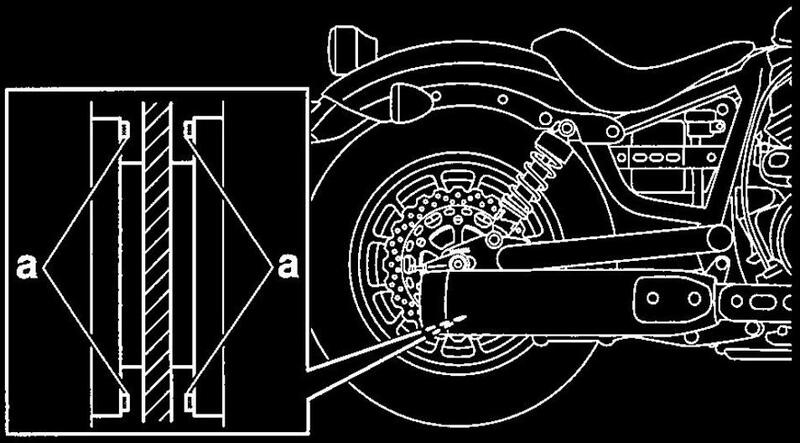 After bleeding the hydraulic brake system, check the brake operation. • Brake hose " 1 "
If there are Cracks/Damage/Wear -> Replace. If loose -» Tighten the holder bolt. 3. Hold the vehicle upright and apply the brake several times. If there is brake fluid leakage -> Replace the brake hose. 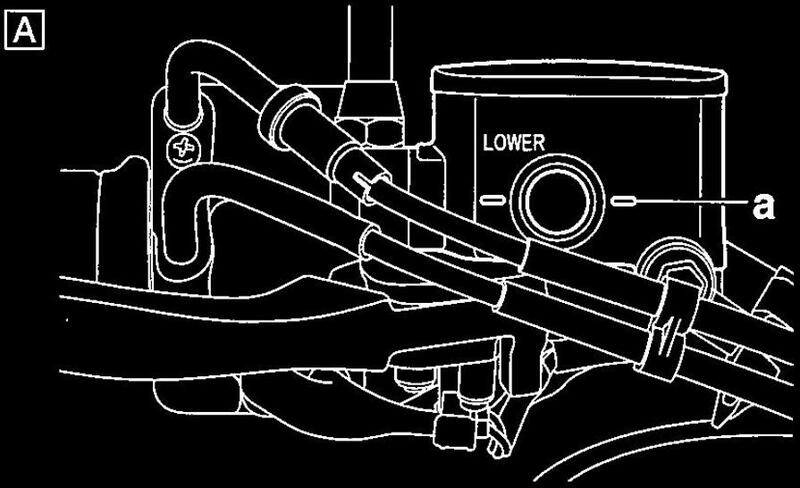 The following procedure applies to all of the brake hoses and brake hose clamps. 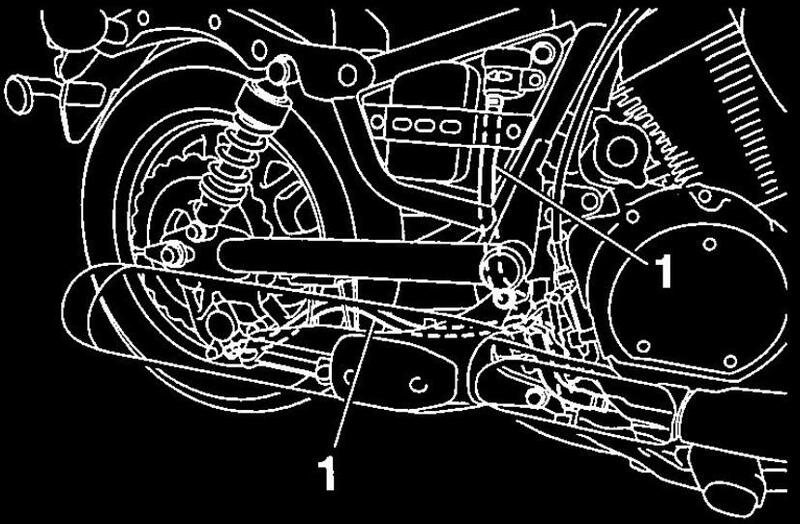 • Brake hoses " 1 "
If loose -> Tighten the clamp bolt. If there is brake fluid leakage -> Replace the damaged hose. When operating the brake lever and brake pedal, confirm that the brake light turns on. If Faulty -> Refer to the "Lights, Signals and Switches" General Maintenance Page. comes on at the proper time. Brake light comes on sooner. Brake light comes on later. 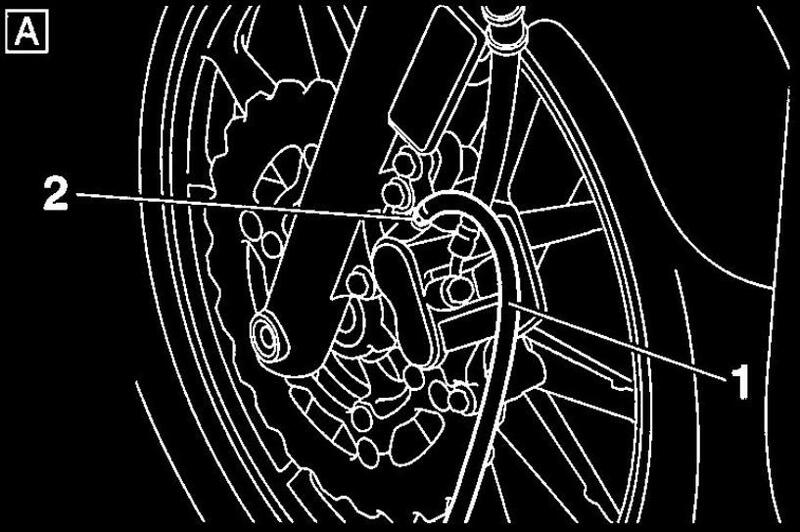 Lubricate the pivoting point and metal-to-metal moving parts of the brake lever. 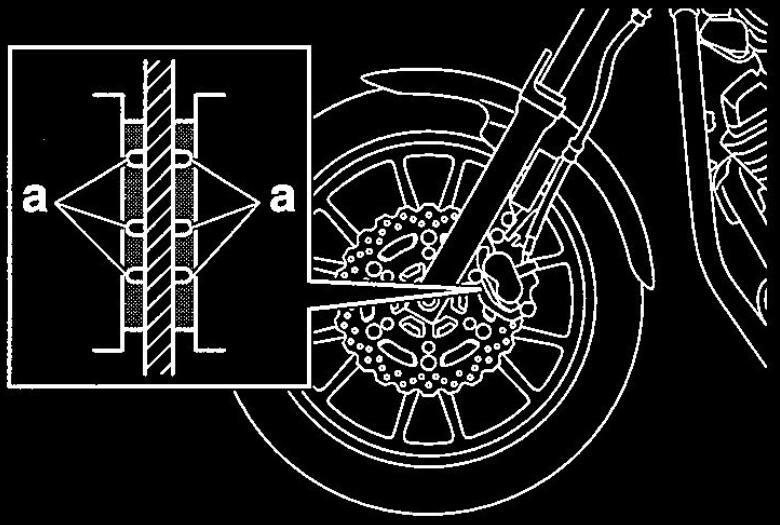 Lubricate the pivoting point and metal-to-metal moving parts of the brake pedal.